What do President Barack Obama, Pope Francis, India's Prime Minister Narendra Modi, Indonesia's Susilo Bambang Yudhoyono and Queen Rania of Jordan have in common? They are among the most powerful political Twitter elite on the planet. In fact, when India's new prime minister, Modi, took power five months ago, he actually stopped giving interviews to local reporters and instead tweeted his photo opps to his more than 7 million followers, ranking him just behind the pope in Twitter popularity. Local reporters aren't exactly happy about being cut out of the communications process, but Modi hasn't caved in to complaints by the Indian press corps who represent more than 12,000 newspapers, according to Bloomberg. 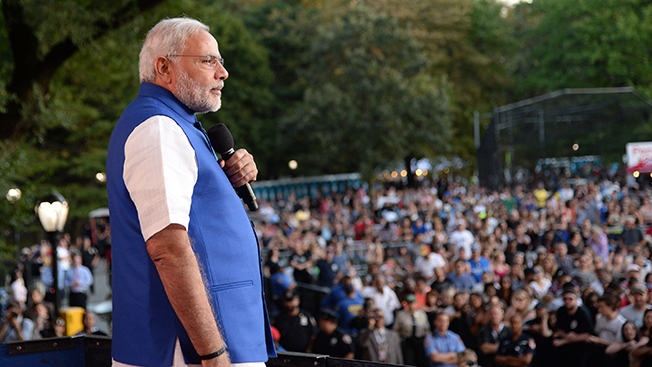 Modi has used Twitter to set the stage for diplomatic missions. For instance, before he visited Japan in August to seal a $37 billion infrastructure deal with Japanese Prime Minisiter Shinzo Abe, he tweeted in Japanese about India's good relations with that country. For comparison's sake, Iran's Hassani Rouhani and Russia's Vladimir Putin are not quite so big on Twitter, according to this year's Twiplomacy study, with 266,000 followers and 148,000 followers, respectively.